How to get your teen to hug you – Trees & Flowers & Birds! 3) Agree to get him the latest game (previously mentioned Black Ops, this time for the Xbox) also for Christmas. Stumble into a nice cash back ebates deal through Dell.com where you have a credit account. Buy it right away so it will be delivered on time. 4) Black Ops arrives two days later. You immediately spirit it up to your room along with a new Adam Lambert 2011 calendar that also arrived in the mail for you. Consider giving him the game early since he takes off for San Fran with his dad on Christmas night for a week away. Decide he can wait since he does already have the game at his dad’s & is no longer dying to play it, right? 5) On twitter, notice that a Padres player you follow has posted his Xbox live account name. Show it to the teen just for shits & giggles not really thinking he’d take it that seriously. 6) Watch teen jump up faster than he’s moved in months to race to the Xbox & sign in and find the Padres player. 7) Remind teen that Padres player has over 2000 followers on twitter and that probably a few dozen or so just did the same thing as him and don’t be too disappointed if Padres player doesn’t accept friend request right away. 8) 30 mins later here teen give a squeal…no, check that..his voice is changing…it was more of a squawk…of glee as Padres player accepts his friend request. 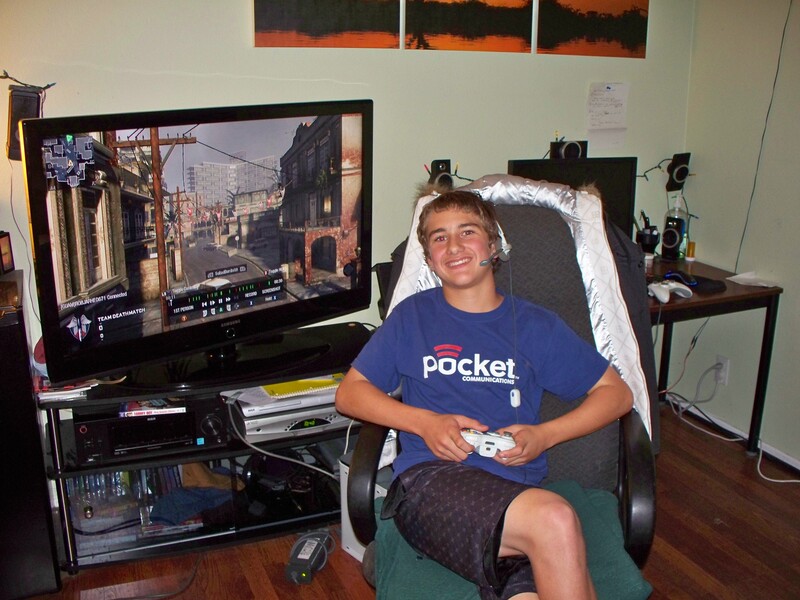 9) Go see what’s up as the teen checks to see what game Padres player is using since he is now online – Black Ops! 10) See teen fall to the floor in agony because he knows he *asked* me for the game for Christmas but he also knows that it’s still over 2 weeks away, and he only told me 2 days ago so there is no way….right? 11) See me grin ear to ear and ask him how badly he wants that game right now? 12) See teen’s eyes get huge & hear him promise to do dishes for a week and to do ALL of the cookie dough stirring this weekend and…. Yes, I even got a smile! you TOTALLY rock! I think maybe you really are Santa. Awww… happy kid = good Christmas, right? Sometimes you have to break the Christmas rules! And the award for Outstanding Mother of the Year goes to… You! Congrats, what a fab thing to be able to do. sometimes seeing our kids so happy is worth it’s weight in gold.